Although we’ve previously shared some differences between therapy dogs and service dogs, we also receive questions about emotional support dogs. There’s a lot of confusion about these three animal jobs. In fact, often these three terms are used interchangeably, although each one performs specific functions. While these three types of dogs have similar characteristics, we’ll clarify how they still serve very distinct needs. Emotional Support Animals, or ESAs, provide therapeutic benefits to specific people with psychological issues like anxiety, phobias, or post-traumatic stress disorder. Like other medical solutions, an emotional support animal must be prescribed by a licensed mental health professional. To get an ESA, the patient in question must be diagnosed with a disabling mental condition and limited in at least one aspect of their life. For these patients, emotional support dogs are a critical component of how they deal with otherwise disabling challenges. Unlike service dogs, emotional support dogs are not trained to do specific tasks, like pressing an alert button when they sense their diabetic companion’s blood sugar is dangerously low. ESAs serve a simple, yet extremely important purpose: to provide comfort to their owners. Whether the dog stays close so they’re available for petting and cuddling, or simply stays close to provide companionship, they offer valuable emotional support and require no special training for this mission. Like service dogs, emotional support animals may accompany their owners on commercial airlines and they’re eligible to live with the owner regardless of pet policies. ESAs do not have the legal right to visit public places with owners, regardless of pet policies in place. Unlike emotional support dogs, service dogs are not viewed as pets and they do require specific disability-related training to fulfill their role. These roles include leading a person with impaired vision, fetching items for individuals with limited mobility, or barking to alert others to an emergency situation. Although they may provide emotional support to their owner simply by being a constant, loyal, and life-saving companion, this is not the specific purpose of a service dog. Service dogs must perform at least one specific task to mitigate the owner’s disability to be considered service dogs. Training can be performed by the dog’s owner, or a professional trainer. To be considered a service dog per the standards of the Americans with Disabilities Act, the dog’s owner must have a life-limiting disability, the dog must be trained to recognize and respond to this disability by doing work or performing a task. In addition, the dog must not cause disruptions in public. Service dogs are the only type of assistance animal to have the legal right to visit public places with owners, regardless of pet policies. Like ESA’s, service dogs can also accompany owners wherever the owner goes, including airplanes, trains and buses. Therapy dogs are similar to ESAs in that they provide therapeutic and psychological benefits by allowing others to pet, cuddle, and hold them. The biggest difference in these duties, though, is that therapy dogs provide this service to many people beyond just their owners. 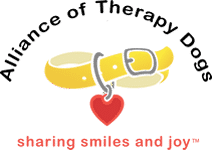 Sometimes a therapy dog will be a permanent resident of an establishment with lots of different patients or visitors, like a nursing home, physical rehabilitation facility, or psychologist’s office. Other therapy dogs frequently visit daycare facilities, schools, libraries, group homes, hospitals, airports and in many other venues where needed. 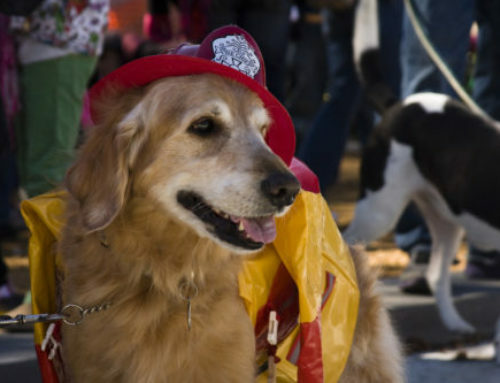 Therapy dogs are friendly, easygoing, and respond positively to the attention they receive. The comprehensive training they receive prepares and encourages them to tolerate a wide range of interactions in different environments. Prospective therapy teams (dog and handler) are tested for certification. Therapy dog do not have the legal right to visit public places with owners unless they are invited by the institution.